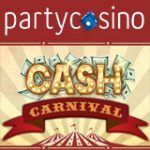 Participate in the €100K Carnival a special Winner Poker promotion taking place this February, complete the missions to win your token to the weekly €15,000 Carnival freerolls every Sunday. 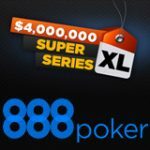 There are also daily poker missions to complete to win a token to the daily All-in Freerolls, claim up to four tokens per day. Poker missions will alternate between playing Twister SNGs and tournaments. 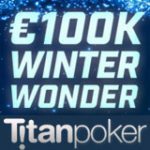 There is over €100,000 guaranteed in daily and weekly tournament prize pools to be won throughout the month of February at WinnerPoker. 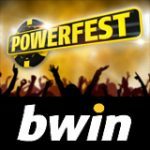 The €100K Carnival Winner Poker promotion is currently underway qualify for your tokens to the daily all-in and weekly Carnival freerolls to win your share of the €100,000 in prizes. 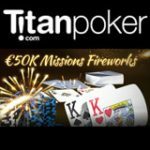 Complete the simple poker missions to receive tournament tokens to the freeroll tournaments, missions include playing Twister SNGs and Multi-Table Tournaments. 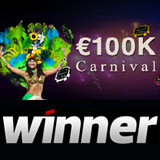 Qualify for the €100K Carnival on WinnerPoker. Complete a daily poker mission and get a tournament token for the daily All-in Carnival freeroll tournaments on WinnerPoker. Players can complete the daily missions up to four times to claim a maximum of 4 tokens per day to enter the multi-entry tournaments. 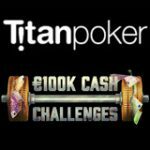 Players can register for €100K Carnival freerolls from the €100K Carnival tab in the poker lobby. Multi-Table Tournaments with a buy-in of €1 are eligible to claim tokens for the Carnival freeroll tournaments.